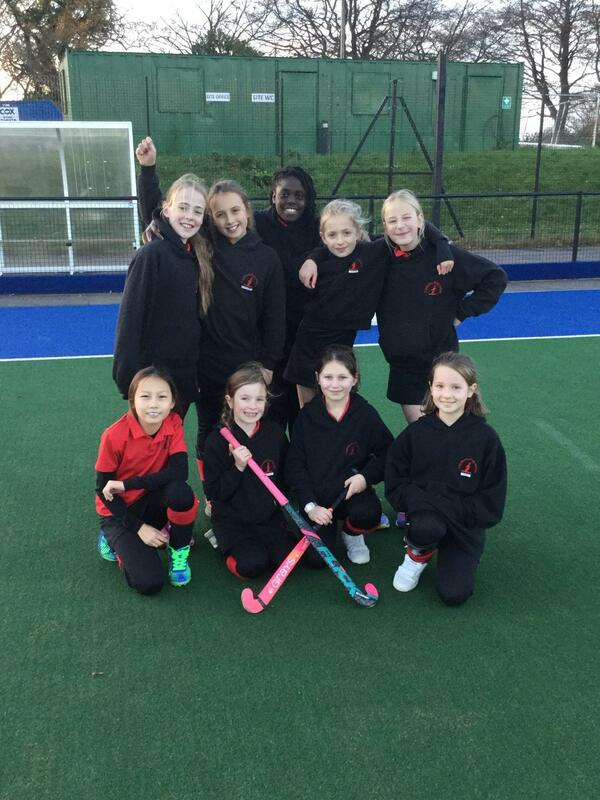 What an exciting afternoon of hockey at Cumnor’s Colts B tournament. All the girls that took part enjoyed their time and were pleased to have had the opportunity to experience as much match-play and skill challenges as possible. It was a round robin format, with plenty of pitch time. The girls did superbly and went from strength to strength throughout the afternoon. Simi was awesome in goals, especially in the shootout challenges. She took on board advice and confidently came off her lines to narrow the angles. She was well backed up by her two defenders Kirsten and Ava. They were solid and caused a lot of frustration for the oppositions forwards as they would not give them any time to get a shoot off. Ffion worked tirelessly in the midfield, keeping her stick down on the ball. She was very determined and strong with her tackles and most of the time she came away with the ball. She was supported well by the forwards Sophie, Isabella, Eva and Lowenna. They created the space by pulling defenders wide and were quick to turn around and help defend. The girls held their shape well and always had and option of were to pass the ball. Sophie and Lowenna also found themselves in the scoring D on many occasions with Lowenna giving Copthorne their first goal of the afternoon during their second match. Ellie had a fantastic eye for goals this afternoon, proving very effective on the counterattack and scoring a hat-trick to help her team come from 0-2. They continued to play fantastic passing hockey in their last game and were unlucky not to have come away with another win. All the girls were exhausted and welcomed the end whistle. With only losing 1 game (to the eventual winners) the girls found themselves in 2nd place for the afternoon. Not a bad day of hockey at all.